Fortunately, history was deaf to the “Gazette’s” appeal. 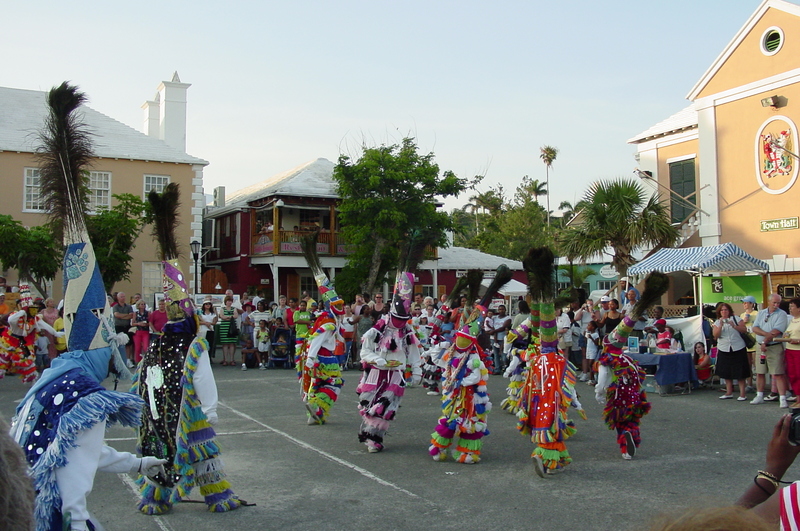 Drummers, troubadours, storytellers-in-motion, while Bermuda’s Gombey tradition includes elements of Bahamian Goombay and African-American Mummery the unique cultural cross-pollination of Caribbean, British and Native American elements could only have occurred here. “The Gombeys have enjoyed a remarkable shift in social status,” writer, educator and musician Ronald Lightbourne said in an appreciation of the Bermuda dance troupes written for the Smithsonian Institution’s Centre for Folklife and Cultural Heritage. “Once marginalised by polite society, they now take pride of place as icons of Bermuda’s culture. Their images appear on postage stamps, our poets have praised them, the National Dance Company of Bermuda has performed work based on their dances, and sculptors have depicted them. 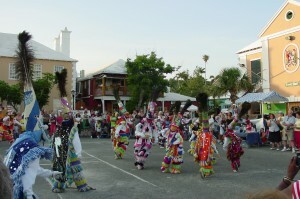 Bermuda’s Gombey tradition — marked by snare drum-driven rhythms inspired by British military bands, peacock-feathered headdresses and expressive dances which re-tell historical and Biblical stories in a seemingly freestlye manner which belies the intricate and disciplined choreography involved — dates back to at least the mid-18th century. The island’s preeminent folk art, the word Gombey is thought to derive from either the Bantu word for “rhythm” or an African type of drum. Each dance is named after the legend which inspired it, and the musical accompaniment for dancers — numbering anywhere from 10 to 30 — is usually a kettle drum, two snares, a fife and keening whistles. Mr. Lightbourne said official disdain for Gombeys dates back to at least the middle of the 18th century, when ultimately futile measures were made to stamp out a tradition already deeply ingrained in Bermuda’s culture. One of the earliest surviving written accounts of the Gombeys’ Christmas activities dates from 1829. In a series of vividly drawn letters from the island collected in the book “Sketches of Bermuda”, English abolitionist Susette Lloyd recorded her impressions of pre-Emancipation Bermuda, its inhabitants and its folkways. Miss Lloyd clearly overcame her initial confoundment because she went on to attend two Christmas events dominated by the Gombey troupes. Today Bermuda boasts more than half-a-dozen Gombey troupes — Warner’s Gombeys, Norford’s, the Shakey Smith Troupe, Richardson’s, Wilson’s Troupe and the all-female Alisa Kani Girl Gombeys among them. Allan Warner, captain of Warner’s Gombeys, told Mr. Lightbourne some of his troupe’s dances still celebrate the fight against oppression in Bermuda in musical and dance form. 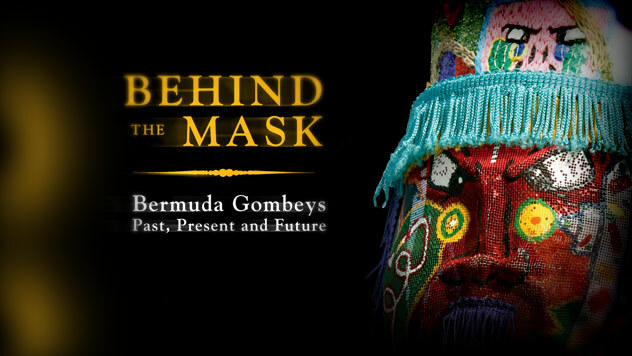 In 2008 Bermudian Adrian Kawaley-Lathan directed the feature-length documentary “Behind the Mask: Bermuda Gombeys Past, Present and Future”, screened at the Bermuda Internationl Film Festival and now available on DVD at the Music Box and the Bermuda Bookstore. The director, who has a diverse background in the arts — playwriting and directing for theatre, lighting and technical work backstage, as well as vocal, dance and acting performances in Bermuda and abroad — tells an enthralling story in his 90-minute film about the evolution of this uniquely Bermudian folk art. 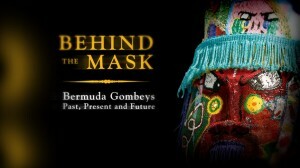 Featuring introductions by Bermudian Gombey historians Gary Phillips and Louise Jackson, MP, and compelling performances by various troupes, the director interviews the leaders of today’s Gombeys who trace their long roots back to earlier Gombey leaders and the social conditions which gave rise to this form of expression. Very informative! Good article as usual Bernews! To Mr. Lightbourne and Bernews. Thank You!